Scent Intense (Eau de Parfum) is a perfume by Costume National for women and men and was released in 2002. The scent is woody-spicy. It is being marketed by Beauty San. Mr. Bruyere had an urban synth pop vision of CN perfumes. Every CN scent has some kind of artificial and soft cloudy vibe. Scent Intense is a very balanced scent with possibility to feel every note per se, but resulting in new olfactory creation. Similar to CN 21 artificial amber is the first note to detect. It seems this scent has reverse pyramid. Then follow hibiscus, soft jasmine note and sweeten tea that last forever. The base is made of milky sandalwood and patchuoli. It is a skill to create such a powerful scent that seems so light and transparent. Although marketed towards women it is totally a unisex perfume. A beautiful work of too early departed Laurent Bruyere. Apparently angels ran out of their perfumes. This starts out very medicinal (astringent) smelling on my skin. It's not totally awful but it's a bit odd. Thankfully it settles down after an hour or so. It really does end up being quite nice. On me, what I smell mostly is the amber. A nice, warm amber with a touch of the freshness of hibiscus. It's lively and intriguing and leaves you feeling quite satisfied. It's nothing that we haven't seen before but it's comforting in its familiarity. I enjoy wearing it. It makes me feel confident and sophisticated. The lasting power is great. It has no trouble lasting all day. Technically this is a women's fragrance but it smells completely unisex and men can wear this easily as well. Scent Intense is a like or dislike fragrance. Unisex, but it is definitely not me. Tea note is very dominant, this gives the composition a fresh, warm feel. Tea is underlined by amber and soft floral notes of hibiscus, jasmine, and some patchouli. I think it is a nice warm, fresh tea/amber dominant chypre floral, with refreshing qualities, but not for everyone. I gave my sample to a lady, and she loves it... No blind buy recommended! I tested Scent Intense only minutes after I tested Scent Sheer, and I must say the differences are quite obvious. Scent Intense, is not only an intensified version, but an entirely different composition altogether. I immediately detected the patchouli in the opening which had a rather dusty and leathery feel to it. Beneath the strong, almost masculine notes, a sweet, milky jasmine note rises from the darkness bringing with it an interesting coziness. Although bold and dark, Scent Intense does have a rather feminine smoothness. Some are saying it smells a bit like incense and I somewhat agree. However I think it smells like an inclosed space with the scent of stale incense rather than the burning, smokey kind or the incense stick itself. 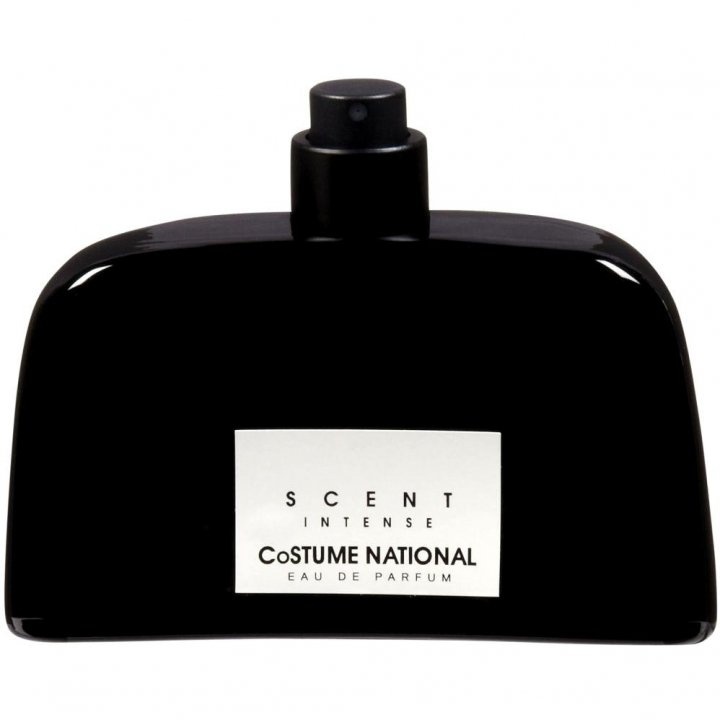 Despite its rather gothic approach, I find this fragrance elegant, feminine and sophisticated. Perhaps even at times a little clean and powdery. While the patchouli and amber tend to dominate this fragrance, there is also a tar-like note blended with a 'raisin-y' tobacco note that only adds to the intrigue and the warmth. The sillage and lasting strength are highly commendable, however I wouldn't expect anything less. It seems to be that Scent Intense is quite a popular buy on the niche market which pleases me greatly. This fragrance is kind of geared towards women that want to smell a little bit different, steering clear of smelling like a bouquet of flowers or fruit juice.